What is in store for manufacturers this season? Nothing but net (profits, that is) as manufacturers kick off the run up to Christmas with an optimistic eye to the future. It’s an exciting time with manufacturers gearing up for growth, investing in equipment, new manufacturing modalities such as 3D printing, and software to support digital transformation and new collaborative, connected factory floor competencies. Terri Hiskey from Epicor looks at why we can expect cloud, the Internet of Things (IoT) and analytics to be key areas of technology investment for manufacturers. While these have been topics of conversation and exploration for a while, manufacturers are now moving past the design and concept stage to full-on production execution and deployment of these technologies. Cloud is quickly becoming table stakes. 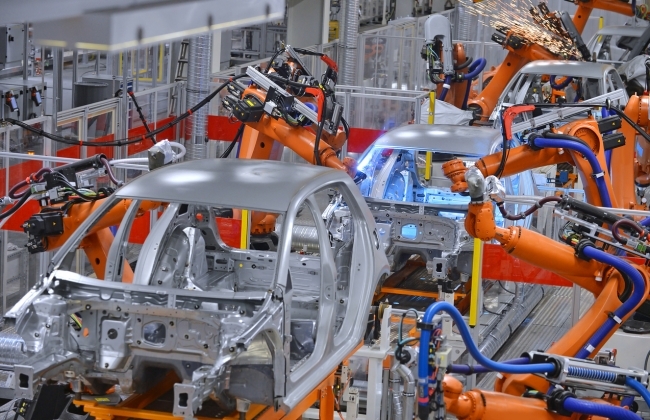 Now is the time for manufacturers to put a cloud readiness plan into action. The cloud is quickly levelling the playing field, enabling even smaller manufacturers to leapfrog older, more established manufacturing players. Aside from bringing about improvements in responsiveness, agility and costs, the cloud is helping businesses transform. As manufacturers shift away from traditional on premises systems to cloud-based ERP they are taking advantage of new capabilities to transform their business and optimise processes. What’s more, it’s enabling the surfacing of information from even the most far-flung and darkest recesses of the organisation and transforming this data into insights necessary to run and drive their business. The application of big data and the IoT continues to offer growth opportunities as insights gleaned from various internet-connected devices enable even more targeted customer engagement and business revenue channels as well as the ability to support operational efficiencies. The McKinsey Global Institute says that despite the immense potential factories have for value creation in the IoT era, an estimated 70% of data captured in manufacturing goes unused. While most manufacturers recognise the promise of the IoT, many—especially small and midmarket manufacturers—have taken a “wait and see” approach because IoT initiatives can seem daunting. They don’t have to be. You don’t need to boil the ocean; there’s likely processes that can be IoT and/or cloud enabled that represent low-hanging fruit in your manufacturing organisation. Start there (and start now!). 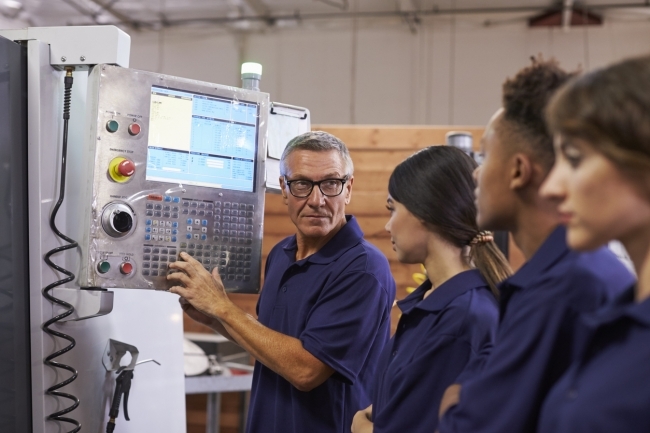 Devising strategies to attract and retain millennial talent will be quintessential for business growth—especially given their digital savviness that can give businesses a big leg up in the new age of smart manufacturing. Manufacturers must re-think their relationship with these digitally-literate workers and retool their organisations to leverage technology to motivate and empower this next-generation workforce. Sitting at the intersection of workers and systems to unite information and execution, technology plays a vital role in reducing complexity, improving the quality of work life, and enhancing productivity. Business systems that are intuitive and accessible can assist Millennials wanting to have an immediate impact in the workplace. Millennials want to invest their time and energy in innovative organisations, and in positions where they can make a difference; they have little patience for waiting on month-end reporting to see if their contributions have moved the mark. They want real-time feedback that can be delivered via wearables/mobile, cloud, analytics and other enabling technologies. As organisations align their offerings to meet a wider array of needs and requirements throughout the customer journey, this creates opportunities to capture greater revenues and competitive differentiation. But as they branch out to serve a broader range of customer needs, and get closer to the end consumer, customer experience becomes more critical. With globalisation and disintermediation, supply chains have gotten more complex and business more competitive. Supply chain visibility and responsiveness is key to know when there are deviations to plan and move quickly to ensure customer obligations can be met. 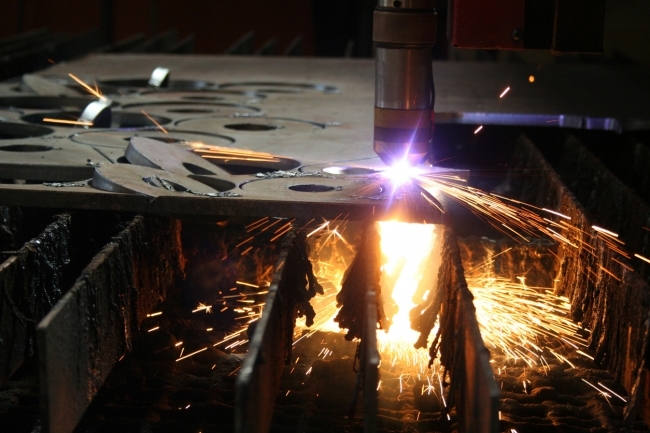 Over the years manufacturers have leaned out manufacturing processes and cut costs as much as possible. The supply chain is fast becoming be “the new frontier” for opportunities to lower costs, improve responsiveness and reduce risk. The customer experience imperative mandates widespread collaboration and visibility across the entire manufacturing value chain; shop floor operations and top floor operations must be connected. Siloed systems that stand in the way of a clear “line of sight” from the manufacturing floor to the finance office will impede organisations. • How are we doing sales-wise, up/down, month-over-month and by territory? • What are the inventory levels, how much is in stock versus demand? • What is the status of our outstanding accounts payable (AP), accounts receivable (AR) and cash flow? • How are we tracking regarding on time shipment performance, supplier/procurement scorecard, waste/cost on the manufacturing floor, etc.? This enables course corrections and fine tuning of go-to-market strategies, customer management, planning and inventory management, and financial health (better AP/AR management). This time of year is an important one for manufacturers; it’s time for smart strategic moves to make the most of it. Focused investments in the cloud, the IoT and analytics will enable manufacturers to seize opportunities today, and also be prepared to embrace change and whatever the future brings.